This is badass. The Industrial Engineer stats nerd in me is pretty excited to see all of this : ) I’ve heard of many of the tools you list, but I’ve never really seen how real organizations are piecing them together to get serious amounts of user data. Thanks for sharing that! Really cool! I’ll bet you can find some interesting correlations with all the data you have access to, which I’d love to see sometime. Hey Pete, thanks for sharing your overall list and specifically the details about how you are tying these tools together. I agree that tying them together is when things get really interesting. In addition to Qualaroo’s integration with KISSmetrics that you mentioned, we recently introduced Qualaroo integrations with Optimizely (tie qualitative insights to an experiment) and Google Analytics (tie qualitative insights to actual behavior of segments). 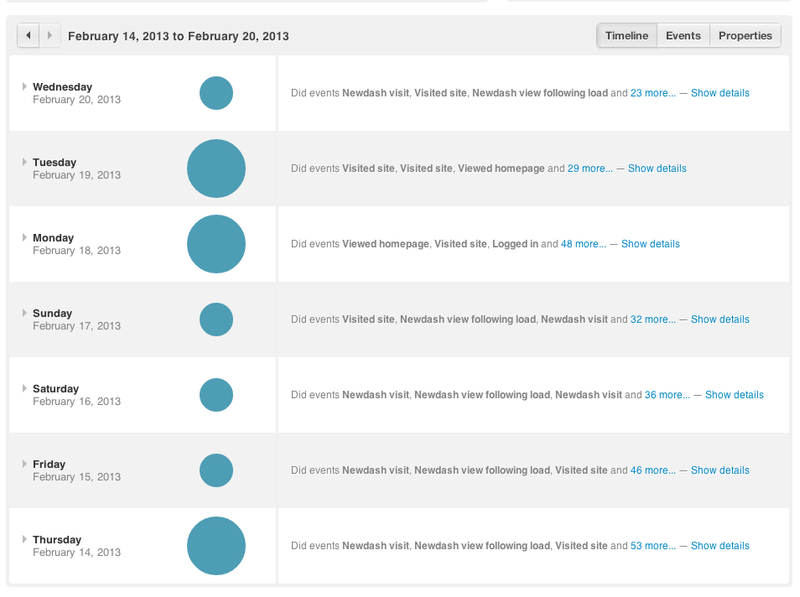 We even have people using it with Clicktale to determine which user sessions to record. BTW, one idea for the WordPress.com question you included…. 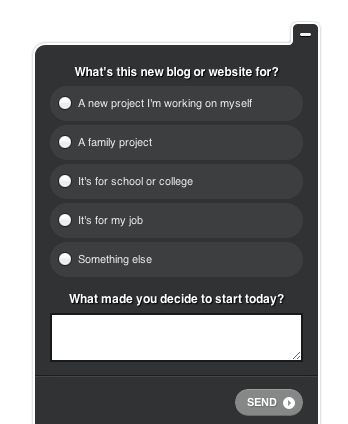 The new editor we launched last week allows you to serve a different call-to-action screen for each of the multiple choice answers so you can direct people toward relevant content based on their answer. Thanks Sean. I’m also excited to try the new branching that you have in Qualaroo. It should make for some cleaner, easier surveys.